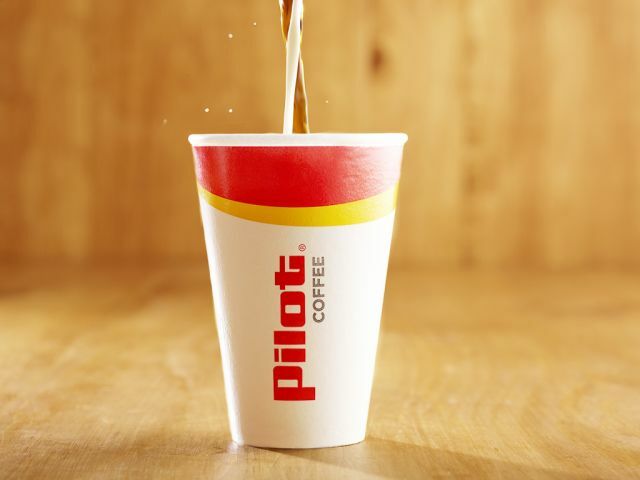 Pilot Flying J will be celebrating National Coffee Day tomorrow by giving out a free small cup of hot coffee to each guest who comes in on Thursday, September 29, 2016. In case you're not a fan of drip coffee, you can also get tea or a cappuccino instead. You'll need a coupon to grab your free cup and can find it on the company's website here. The freebie is good all day on September 29, 2016 at Pilot and Flying J Travel Centers in the US and Canada. Photo via Pilot Flying J.